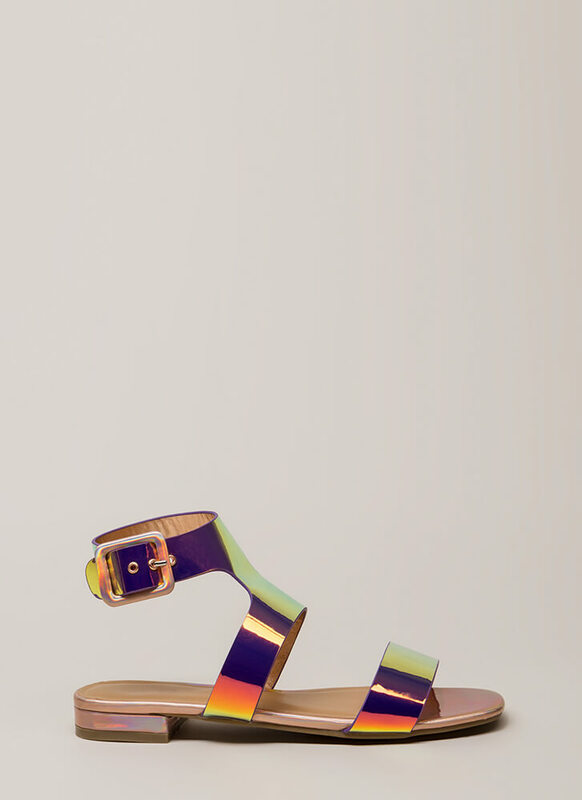 Your shoe closet could use something shiny and new... 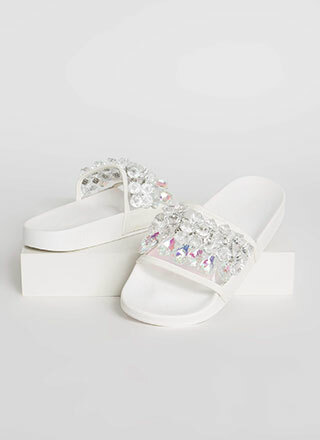 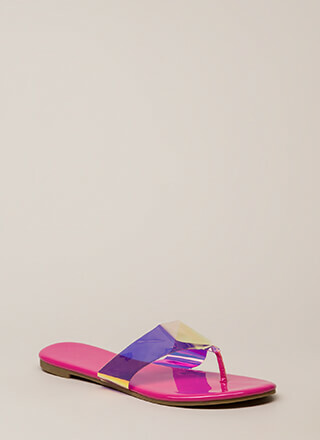 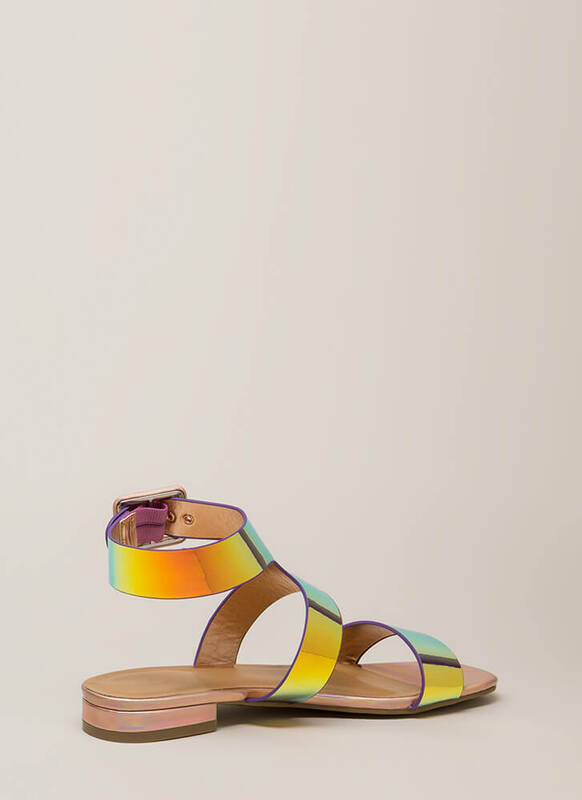 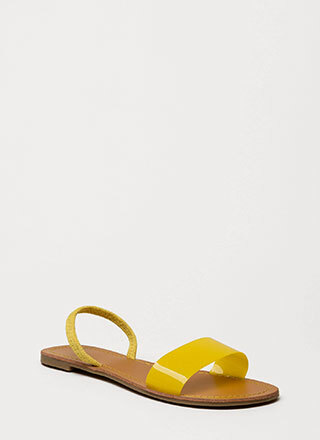 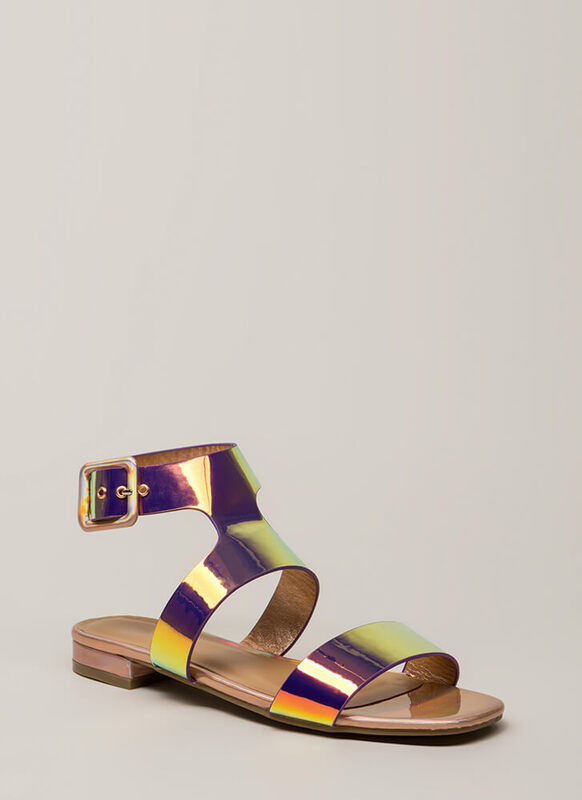 Shiny, open-toe, vegan patent leather sandals feature an iridescent, holographic upper -- a wide toe strap and a combination vamp and ankle strap that is finished with an adjustable buckle. 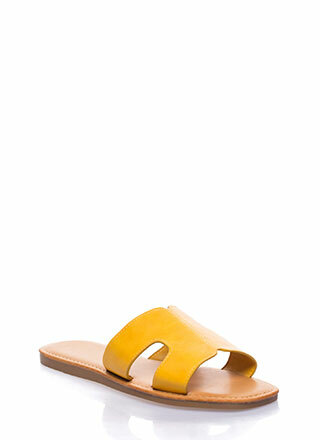 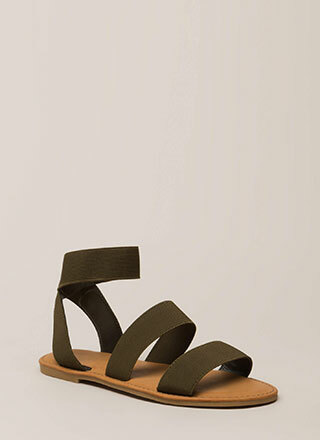 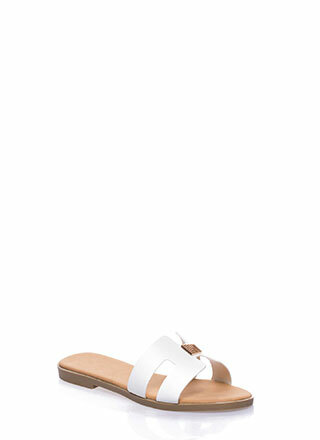 Shoes also include an exposed heel and a ridged sole.